The pretty and popular town of Eden in New South Wales plays an important role in the local fishing industry and is home to some lovely areas and fine attractions. It is no coincidence that the town shares its name with the beautiful biblical garden! Filled with timeless charm, visitors can enjoy the feeling of having stepped back in time. A true Aussie gem, a trip to Eden will be filled with charm and character. Take a peek at our great accommodation in Eden to turn your great trip into a perfect one. Sitting on Twofold Bay, the coastal views and atmosphere are enchanting. The ocean and its creatures feature highly in local tourist attractions, with a particular favourite being the Killer Whale Museum. Here you can learn all about the area's fishing industry and whaling heritage. Be in awe of the massive skeletal remains of Old Tom, the mighty and fearless killer whale who, along with others, assisted man in hunting other whales. The Davidson Whaling Station is another great place to absorb more of Eden's history. Whale watching trips are offered at certain times of the year. There are numerous pretty beaches in close proximity, where you can relax on the white sands and take a dip in the sea. Within easy reach of Eden is Disaster Bay, which is spectacularly beautiful despite its unfortunate name! Nadgee Nature Reserve offers a glimpse of a rare and remote wilderness and a variety of interesting creatures call Ben Boyd National Park home. Hikers should definitely check out the Bundian Way, which is not only an old Aboriginal route but is also one of the country's most spectacular and rugged areas. Dine on freshly caught fish and let your cares simply vanish into thin air in the beautiful and tranquil town of Eden. 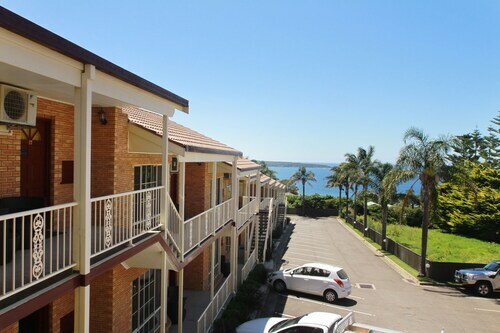 Book your flights to Merimbula and brilliant hotel in Eden and fall in love with this perfect Australian coastal town. How Much is a Hotel Room in Eden? 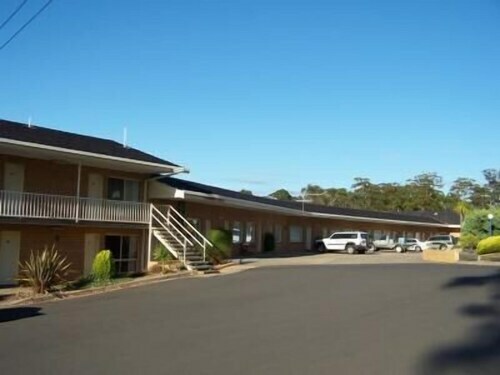 Hotels in Eden start at AU$79 per night. Prices and availability subject to change. Additional terms may apply. All rooms were equally placed at ground floor with car park in front of the room. So was easy access to our car. My room was sparkling clean and had microwave, freeze, hot plate, crockery, water steamer, TV, AC and ofcourse wifi. My son loved the heated swimming pool as it was not more than 3.5 feet. Didnt regret my decision to book this place.